Model 7924 (glass or solid door) double door warming cabinets (blanket warmers) are 74-1/2" tall and are the perfect answer for warming blankets (blanket warmers) and solutions in two separately heated compartments. Set temperature control via key and pass-code lockout. Self-closing, magnetic gasket, adjustable tension doors. No-set temperature restriction between compartments. 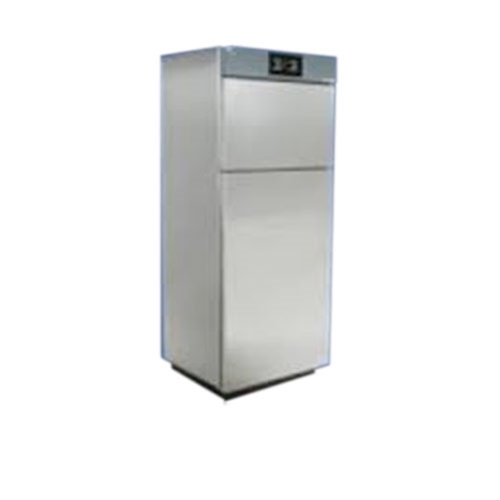 Each warming cabinet unit comes standard with integrated casters for ease of mobility.